If I had a dime for every time I heard, “I don’t like myself in photos,” I could work half the hours I do now and still make a decent living. And although I can say that everyone feels this way—people of all ages and both sexes, and of all heights and ethnicities and weights and hair thickness—it won’t actually help you like photos of yourself more than you do now. What can help you like photos of yourself more than you do now are the following 7 reasons most people don’t like photos of themselves—reasons ranging from scientific camera reasons to psychological, mindset reasons—and the 7 gems of information hidden within these reasons that you can use to change photos of yourself in the future as they’re being taken so you like them more when you get them back. Sound too good to be true? It isn’t! 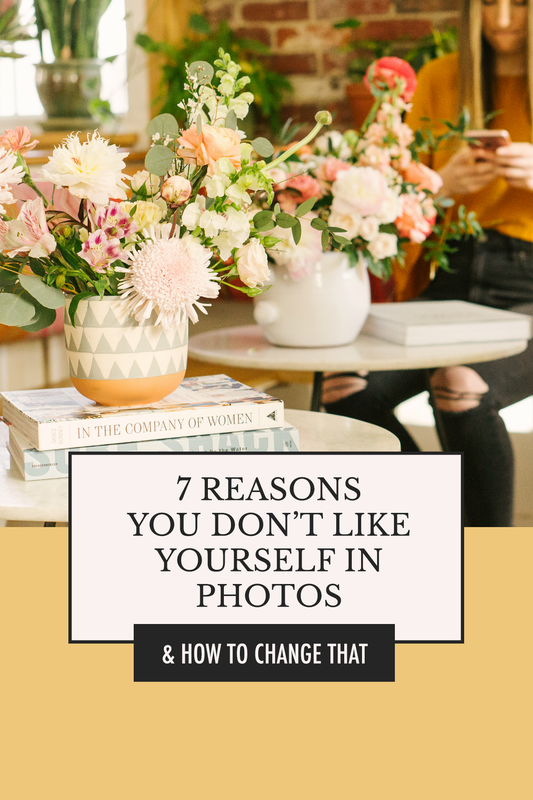 There’s a reason my clients constantly tell me, “I usually don’t like photos of myself… but I love these!” Take 5 minutes and consider these 7 reasons you might not have liked photos of you in the past, and the takeaways from each that can help you in the future. Reason #1: You’re a reverse version of the self you see in the mirror. No human face or body is perfectly symmetrical. Although we often think we’re surrounded by symmetrical people, this is only because our brains “correct” what we see within just seconds of meeting a new person. The version we store of the person in our memory isn’t the reality, even if we think it is—just check out this article showing “symmetrical” celebs to see what I mean. Your brain also does this for your own appearance when you look at yourself in a mirror. The difference is, when you look into a mirror, you actually see a reversed version of what really exists and what everyone else sees. While your brain auto-corrects what you see in the mirror, and programs a “symmetrical” version into our memory, it doesn’t compensate for what you should see if that image is reversed back. The correction is only one way. Therefore, when you see how you actually look in a photograph, while your brain does register that the person you see in the photograph is you, it also registers that it’s a distorted version of what it has stored in your memory—coming back with the message that there’s something “wrong” with the person in the image. And consequently, you end up thinking there’s something wrong with you. The fastest way to alter what your brain sees in a photograph is to make sure that when you pose for images, you never pose dead-on to the camera. If your brain doesn’t have two halves of your face or body right next to one another to compare, it becomes difficult for it to register that there’s anything “wrong” with what it’s seeing. It doesn’t pick up on the asymmetries. If you can figure out which is your “better” (preferred) side, and make a point to angle that side to the camera, so much the better. Reason #2: The lighting you’re used to is not the light in which you are typically photographed. When you’re standing in your bathroom, seeing yourself in the mirror several times a day, you’re usually facing not just the mirror, but at least one light. Most restrooms these days have not just one but several vanity lights over and around the mirror, which help to fill in shadows and creases on your face, so you don’t notice them as much. Realistically, no one in your day-to-day moments notices them, either, but once you’re in front of a camera, suddenly they become apparent. Why? Because your average photographer today shoots with a nice camera, but not the whole lighting setup that photographers used to always have for portraiture. So those fine lines, creases, and shadows often don’t get filled in, creating dark circles under your eyes, and a sunken-in, unhealthy look that’s just not noticeable in real life. Ask that your photographer shoot you from above eye level, so that you are forced to look up. If you’re looking up, chances are that more light falls across your face. This is true for both indoor and outdoor shots. Another benefit: When you look up, you elongate your neck and make your eyes appear larger, which typically sends the subconscious message that you are lean and young, which universally tends to be more appealing to all viewers, including yourself. Reason #3: The tint of your photos is wrong for your skin tone. I remember when I discovered that it wasn’t just how “warm” or “cool” a photo was that affected how my subjects looked in the final version: It was also the tint of the image. Every image has a “tint” of either a purplish-pink hue or a yellow-green. Most photographers choose the one they think best fits the mood or story of the photo when they’re editing after the session; but they don’t always recognize that the hue of the overall photo doesn’t work for the skin tone of one or more of the subjects. If your skin naturally has a yellow-green tone (yes, that’s a real thing—just visit any Sephora counter and ask! ), then if that “tint” is added to the photo afterward, it can actually make your skin look sickly. Similarly, if your skin has a pinkish tone, then if that same tint is added to your images, it can make you look flushed or like you’ve put on weight. Especially if you’re having photos taken with other people, point out to your photographer what your different skin tones are. Sometimes local, small-time photographers who only charge $150-$200 per hour don’t know yet to use the adjustment brush in Lightroom to change the tint for each skin tone in the image, so by (politely) saying, “I have a sort-of yellow skin tone in photos, so if you’re able to make that look a little more neutral in post-processing, I’d really appreciate it,” you may be able to improve the healthy look of yourself in the photos you get back. Reason #4: You have expectations that don’t align with reality. In the 1990s, everyone wanted the “Rachel” haircut—the haircut that made Jennifer Aniston arguably the most famous cast member on the sitcom Friends. But hairdressers quickly learned to be wary of this request, because many women left disappointed after getting the haircut. The reason? The cut didn’t instantly make every woman in the world look like Jennifer Aniston, the American girl-next-door with just the right amount of Greek blood mixed in to make her look exotic. These women left with the haircut, but the same face shape, skin tone, and body that they walked in with. I think this is often why some women don’t like photos of themselves once they get them back, too. In their minds, they believe they’ll look exactly like some stranger they found in an image on Pinterest. Maybe subconsciously they’ve given that blond stranger darker hair, so that the mental picture they’ve created looks more like themselves, but overall, they haven’t pictured their own faces and bodies in the image they asked their photographer for. So when they get their photos back, and they’re not what they envisioned, they’re disappointed. This one is a surprisingly easy fix. What you want to do is plan out your outfits, hair, and makeup prior to your shoot—even get ready as though you are heading out to your shoot a day or two early. Then, stand in front of a full-length mirror and take a photo of yourself on your phone. Most phones will a way for you to “horizontal-flip” the image you’ve just shot so that you can see the non-reversed version of yourself. Do this. What you see in this reversed image is what you’ll look like in your professional photos—it’s the actual way your hair and makeup looks, the actual proportions of your body, the way your clothing actually hangs. If there’s something about this visual that you don’t like, because you’ve looked at it ahead of time you’ll actually have time to fix it. Should you wear a higher-waisted skirt, or tuck in that blouse? Do you need more hair volume at the crown of your head, or would you look better with a side-braid? Tweak until you’re getting photos on your phone that look approximately the way you want, and you’ll like your professional photos oh-so-much better! Reason #5: The style or setting of your photos doesn’t reflect the inner story you want to express. This might sound fruity, but it really isn’t. 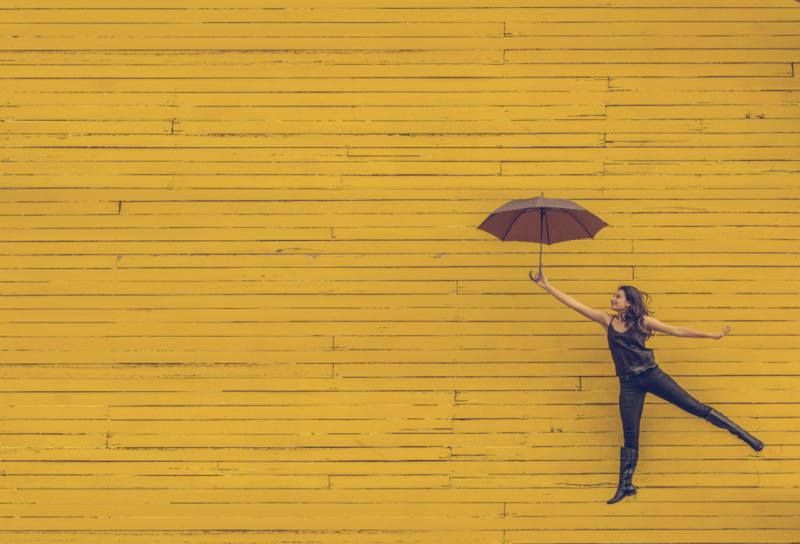 Each of us has a “personal brand,” whether we realize it or not. This brand is a melting pot of values, dreams and aspirations, pleasures, gifts and abilities we use to light up the world, personal aesthetic, and more. It’s really easy for us to recognize strong personal brands in other people, though often not so easy to see our own. 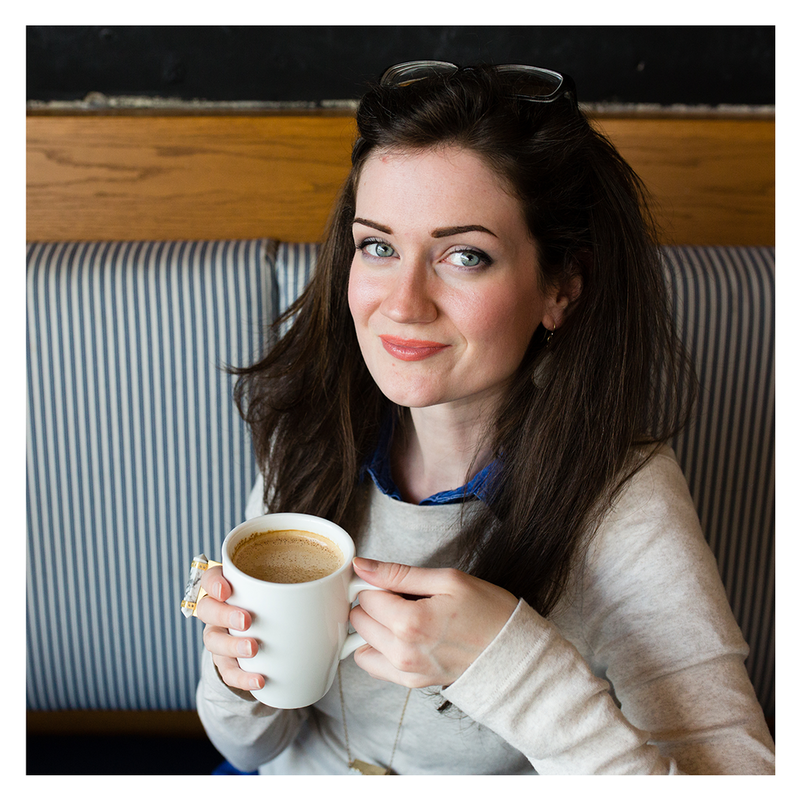 And when someone has a strong personal brand, we often gravitate to it; which can sometimes mean that we collect inspirational images for our own photo sessions that seem really strong, but actually represent someone else’s personal brand, not our own. When we get the photos back, consequently there’s something about them that just doesn’t work—something falls flat or rings untrue. This one is tricky, because figuring out your own personal brand is a journey that you mostly walk on your own. But a good place to start is by asking yourself questions about what you picture about yourself in your highest vision of your life. When I feel on top of the world, what is the situation I’m in and what exactly about it makes me feel so great? When I feel at my lowest, what’s the situation and what about it makes me feel so crummy? What is the exact opposite of that situation and feeling—and is that something I want to feel all the time? If I could communicate in a storybook of only pictures what my happiest, most creative life looks like, what pictures would be in there? Am I okay with it if these photos are a bit non-traditional? Work from your answers to these questions to find the photo location, style, and energy that is right for you. Photos don’t look like real life most of the time, even when you work with a total pro. Either they look better or they look worse than reality; there really is no middle ground. 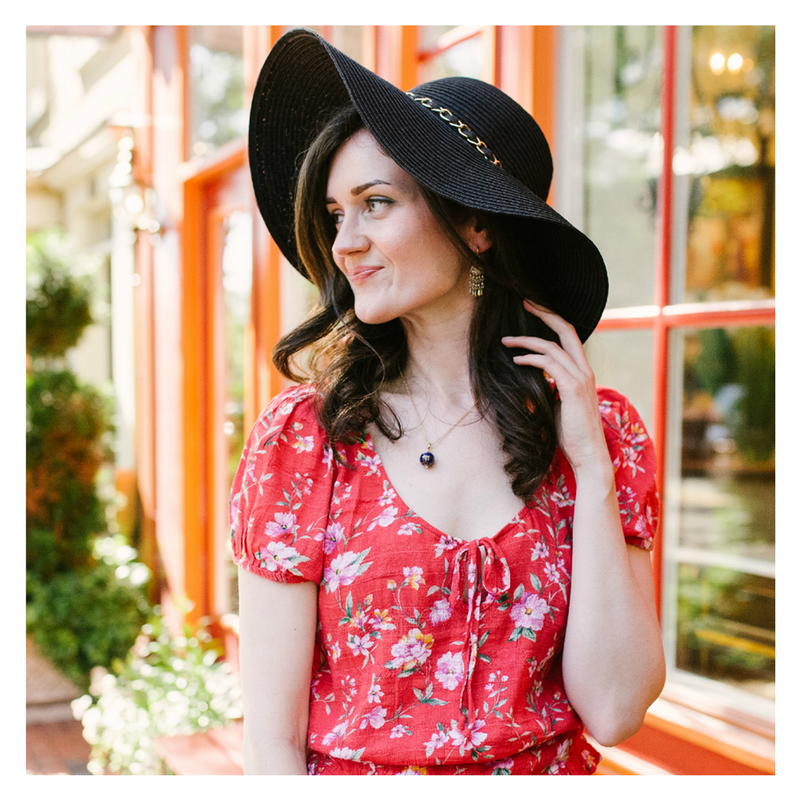 In order to err on the side of better than reality (which is what most of us want, though not all of us), you want to make sure your wardrobe choices, hairstyle, and makeup are optimal for photos—and the way that works is not always what you think! Hair always looks frizzier and flatter in photos that it looks in reality, so getting it done by a pro beforehand is not a bad idea—ask them to focus on volume and shine! Even though the camera picks up on the shadows under your eyes and the creases around your mouth, it somehow doesn’t pick up on the thickness of your lashes or the pink in your cheeks, so consider 15-20% more makeup than you’d normally wear—get help from a pro if you need it! You may always want to follow this board and this board on my Pinterest account, since I’m constantly filling them with examples and ideas for my own clients! Reason #7: Your photos are being shot at the wrong focal length (or you’ve hired the wrong photographer). If you’re not a pro-camera user, you may not know that different lenses allow a photographer to shoot at different “focal lengths.” This affects more than just being able to photograph something far away as though it’s right up close; different lenses actually change the proportions of what appears in the photograph. Remember how earlier I mentioned that the brain “autocorrects” the faces we see to be more symmetrical? It also does this with the photographs we look at. So to the average viewer, it may not be immediately apparent that many images we see day to day are actually distorted (unless they were shot on something extreme like a “fisheye” lens, in which case it’s quite clear), but the reality is—they are. But when we’ve already trained our brains to see our proportions a certain way, it can be very jarring to see them a different way in photos that were shot at a focal lengths that aren’t what our eyes naturally see—sort-of like looking at ourselves in a funhouse mirror. The standard portrait lens is 50mm or 55mm. Some photographers will shoot on something as wide as 18mm or as zoomed-in as 85mm. These lens lengths will allow the photographer either to get “more of the shot,” or to stand a bit further back but still get a portrait that feels intimate and up-close… but in both cases, the way you look in the final image may change. Different body types look “better” at different focal lengths, particularly if the photographer stands at the proper distance from her subject. For instance, an “apple” shape would probably look all right on a 35mm if the photographer shot from above—such as standing on a bench while the subject sat on the bench and looked up—but probably wouldn’t look great on an 18mm if the photographer got a full-body shot; for that, a 50mm or 75mm would be much better. Of course, it can be really frustrating for a photographer to be told how to do her job, so if you feel the need to bring this up, you’ll want to come prepared. Find photos of others whose body types are like yours, and try to find examples of both “good” and “bad” shots. These can be from a variety of angles. Offer to share these images in a Pinterest board with your photographer, commenting under each image why it’s “good” or “bad” in your estimation. Then, let your photographer know that you’ve been photographed in the past and think that maybe you were shot at a focal length and at angles that didn’t flatter your figure. Point out specific things in previous photos that you didn’t like. Be sure to iterate that you’re your own worst critic, but that you’re sure you can get photos you like with a little testing and tweaking. When you get the photos back, note what improved and what didn’t. And be patient—figuring out what works for you and your body type takes time! Was this helpful? If so, make sure you pin the post so you never lose it! Then share with me in a comment below which tip you think will make the difference in your next photo session. Can’t wait to chat! Achieve those happy, full-of-life images you always see on Pinterest and Instagram! Are your Instagram photos boring? Change that with these 10 ideas, from beginner to advanced! 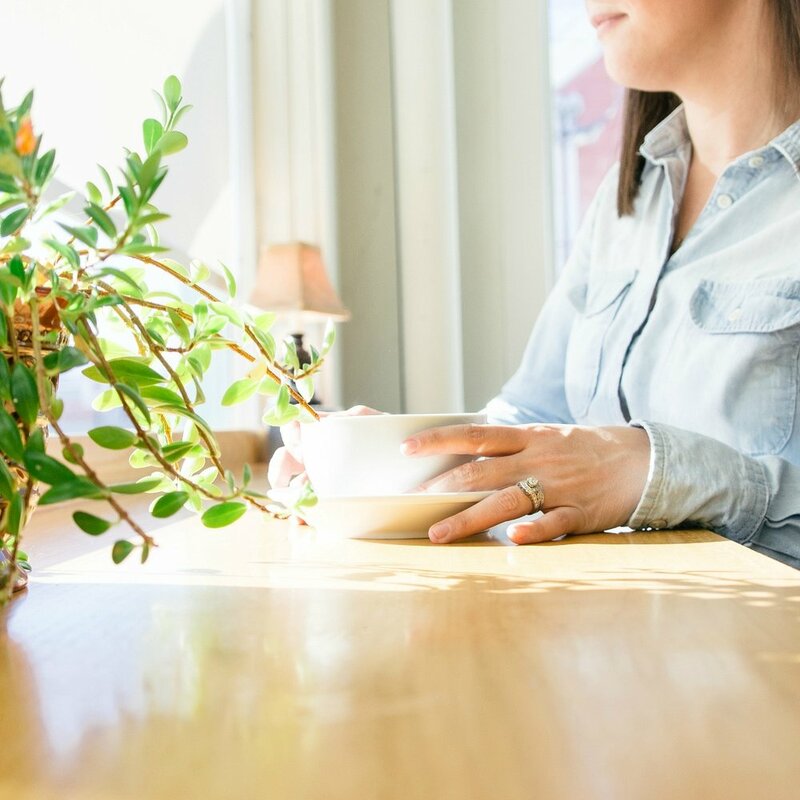 Do You Need These Photos to Uplevel Your Social Media Strategy? Want to post on Instagram every day, but not sure what to say? I’ve got you covered!